We will update you with exciting news each month. 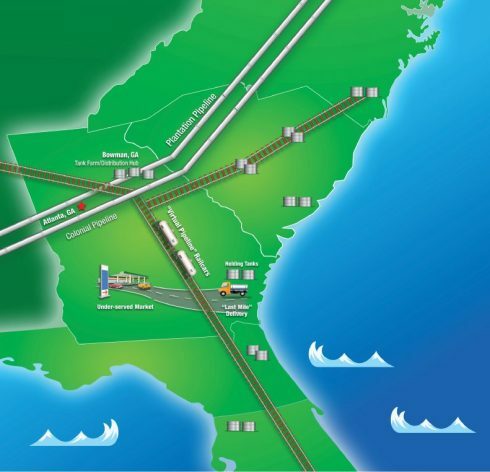 Belvedere’s Main Hub is strategically located near multiple interstate pipelines providing Refinery direct sourcing from Texas and Louisiana. Our design features Unit Train capabilities, 1.5 million barrels of mixed fungible storage and has a special focus on the mass distribution of Renewable Energies. Belvedere shippers can take advantage of our multiple pipeline sources, several new strategically located sales markets, leasable storage, the latest in computerized technology and our Just In Time delivery service, all maximizing the efficiency of our operations making Belvedere Terminals the first choice for your logistic needs. Ask us about bulk storage leasing. 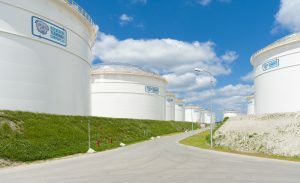 Belvedere is an innovative transportation fuel distribution business, which expands the reach of the Houston and Baton Rouge sourced refinery pipeline networks past their current capacity constraints by transloading products into unit train sized rail shipments into spur terminals serving Florida markets in Jacksonville, Orlando, Ft. Myers, and Ft. Pierce.